Getting your local data SIM and usage plan in Tanzania is not as simple as it is in Egypt. Fortunately, I have a contact point for you that might be able to help out. 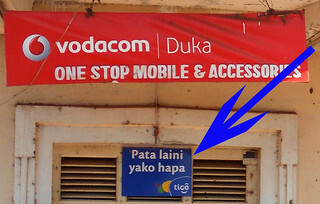 While mobile phones are very common in Tanzania, smartphones and data connections are scarce. I immediately spotted the Vodacom signs that are everywhere and thought that would be a good place to pick up a data SIM. It may be, but the language barrier will likely slow you down unless you are carrying your iPad with you and can slide out the SIM carrier to show what you want. Even then, only the larger shops will have the data SIM. But wait a minute. What is that blue sign underneath the red Vodacom sign? Tigo? What's a tigo? 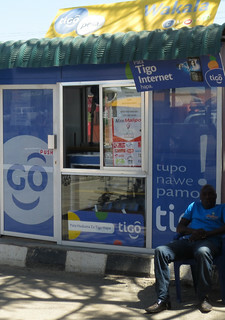 Tigo is the number three mobile phone carrier in Tanzania with a 23% share of the market. 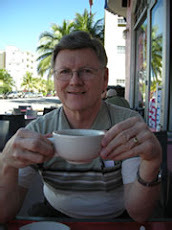 I sat next to Robert Paul, Broadband Sales Coordinator for the northern part of the country, on a plane ride. Robert assures me that Tigo is rapidly becoming #1 in data. Would a salesman ever exaggerate? This article describes a recent expansion of their data coverage. If you spot this blue sign, you'll know you're in the right place. A picture of a smartphone and the word Internet. In fact, the sign translates to "Get Tigo Internet Here!" The sign sits, almost unnoticeable, on this blue booth at the Mwanza airport on the shore of Lake Victoria. It would be easy to mistake it for another food vendor if you didn't know otherwise. I would suggest letting him know of your travel plans before your arrival and see if he can get you connected to the nearest Tigo outlet when you arrive. You will no doubt need a copy of your passport for identification. Your iPad will likely be a rarity on the network. Robert Paul says almost all of their users are on an Android base. My plan to blog from Tanzania ran into a three-way buzzsaw so my apologies to anyone who has been wondering whatever happened to Tom and Linda after their first night below the equator. WIFI access is pretty limited in the areas that we visited. Hey, electricity was only available from 6 pm to 11 pm in some spots! My plan to get a 3G SIM card for the iPad to get access to the Internet failed miserably. I took one brief run at it but realized it wasn't going to be easy. I didn't get much support from my travel leader who (I am told by a spy) was authoritatively told, "you can't put a SIM card in an iPad." This no doubt will come as quite a surprise to folks like Vodaphone who sell them and monthly data plans all around the globe, such as here. My biggest hangup, though, was time. We were kept busy from about 8 in the morning till 10 at night. So you are going to get the Tanzania story a bit late but with the quality that comes from doing it from home. 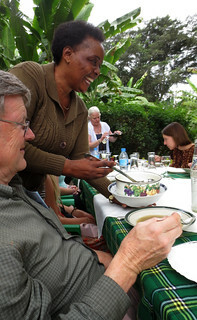 And, through very good fortune, at the end of the trip I met up with someone who can help anyone get onto a 3G data connection in northern Tanzania. More on that in the next post. 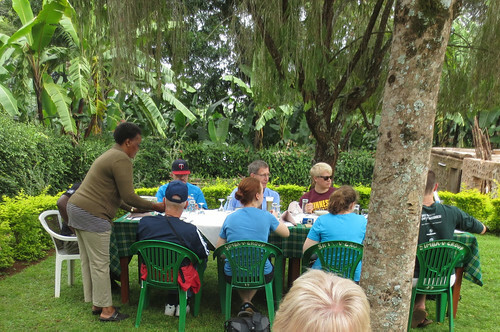 We took off on Wednesday for a two-week tour of Tanzania with a group of Minnesota and Pennsylvania Lutherans. Our group leader is the hard-working pastor, Chad Brekke, of Prince of Peace Lutheran Church in Brooklyn Park. 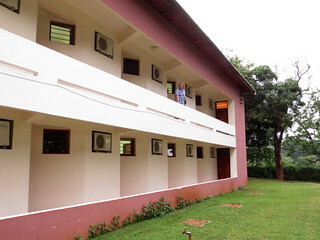 Pastor Brekke has a connection to Tanzania through both his previous Pennsylvania ministry and his current assignment. Fortunately, we had a close enough second-hand connection to his operation to be able to tag along. By the way, you can follow our trip on the official church blog as well as on ours. 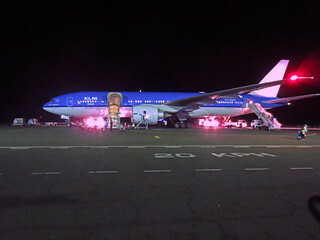 The trip to Tanzania on the East coast of Africa is a lengthy one, entailing the usual Minnesotans' 8 hour flight to Amsterdam followed by an eight-hour flight down to Kilamanjaro International Airport. The JRO airport code was a good conversation starter at Minneapolis International since check-in workers there were unfamiliar with it. That final leg of the flight is about three hours longer than our annual flight to Cairo and passes just a bit East of Egypt over Libya. 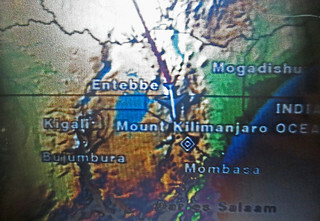 We were glad to see our final destination pop into view on the Delta flight tracker screen as we crossed the equator. Yes it's winter here in the southern hemisphere. The days are a bit shorter but otherwise you wouldn't guess it. By the time we arrived at 7:30 p.m., we were definitely tired of sitting and glad to get the chance to walk off the plane and onto the tarmac. Kilimanjaro International has a small terminal and we were processed through customs quite efficiently. It's another of those countries like Egypt where you can purchase your visa upon arrival although we had pre-purchased ours to help keep up with the group. 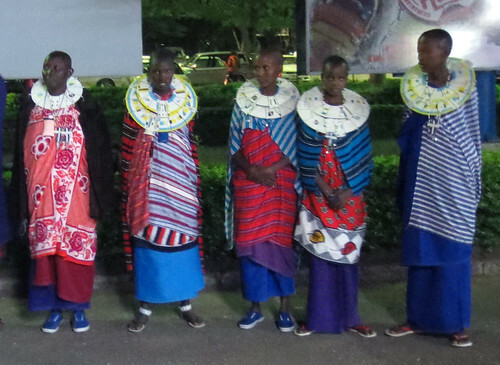 As a very pleasant surprise we were greeted by a group of local Masai dancers and given flowers before heading off on the 45-minute trip to our hotel in nearby Moshi. While we have only been here a single day, Tanzania is proving to be another very pleasant place to visit. The people are very friendly and helpful. English is not as commonly spoken as in Egypt but is, of course, spoken fairly widely in the tourist trade. Our hotel and restaurant accommodations have been more than adequate. 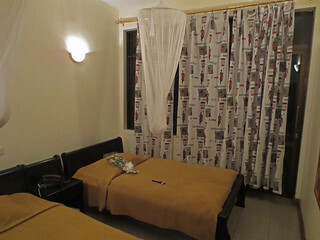 Well, yes that is a mosquito net hanging above the bed and we are taking daily Malaria pills. 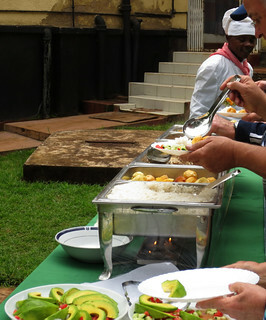 But, at least on our first day, our meals were eaten outside and we spent a good three hours at dinner after dark and outside without anyone spotting one of the evil bugs. I'll bet no one back in the Twin Cities can make a similar claim for Friday night! And lunch today? Well, no one really wanted to leave this setting at a B&B nestled into a grove of bannana trees and other vegetation.